Join Mark and Nicky for this exciting and empowering 4 certifications in one NLP training, using the proven accelerated format created by Dr Tad James the co-creator of Time line Therapy™. Yes, at the end of this course you will be Internationally Certified at Practitioner level in NLP, NLP Coaching, Time Line Therapy™ and Hypnosis. The simple answer to that question is EVERYONE. 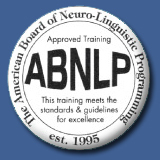 Learning NLP and the associated techniques will allow you to be a flexible thinker and communicator who will always have options. Whether you are interested in your own personal development, improving your relationships, taking up a new career in coaching/therapy, wishing to improve your performance in the workplace or giving yourself the edge in business, this course will give you the tools and exceed your expectations. Is it possible to learn it all in 8 days? What does the course consist of? The FasTrack™ accelerated training format was designed by Dr Tad James who has been at the forefront, leading in the development of NLP over the last 30 years. He designed the course using the technology of NLP, Time Line Therapy™ and Hypnosis to enhance the learning experience and allow you to learn quickly, easily and effortlessly. That is how it is possible to be certified in 8 days. 8 days live training which includes your assessment and certification. Mark and Nicky add to this by providing pre and post course coaching support in order that you achieve your goals and that you have a fully integrated Personal Development Programme. On enrolling with us you will be sent either Mark or Nicky’s personal email address so that they can assist you to establish your goals for the course. 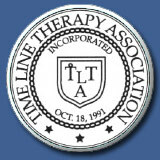 You will be sent The Fast Trak NLP Practitioner Certification Training Pre - Study Program containing 20 MP3 audio files. You will receive full instruction on how to go through the Pre-Sudy audio files and how to use them in conjunction with the manuals, using the books as support material. Once you have completed the pre-course study you will be sent a test to complete. This test is an open book test and has to be completed before attending the live training. It allows both you and us to assess your pre-course knowledge and consolidates your learning. You will be surprised how much you know at this stage. During this part of the course Mark and Nicky will be available to you either by email or telephone to coach and support you. On attending the 8 day live training Mark and Nicky will build upon the pre-course study with fun and engaging sessions which will take you through to practical application of all subject areas. The training day will usually start at 0930 and finish at 1700hrs. From day 2 Mark and Nicky will offer tutorial sessions either at the start or the end of the day where you can have further training in any of the areas covered. We offer this as an extra service as we want you to go away exceeding the standards laid down by the ABNLP and we want you to be confident in practically applying what you have learnt. The course content is structured from simple to complex and each subject builds on the previous one. Every technique is clearly demonstrated so that you are successful in practising them with the other course delegates using the support of Mark and Nicky. You will also have the opportunity to put all of your learning into action by conducting a Coaching session of 1 to 2 hours with another course delegate. 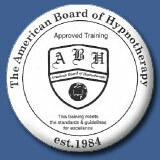 During the course you will be assessed for certification against the appropriate Associations standards. What subjects will I learn for each of the Certifications? 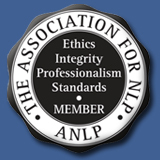 Introduction to Coaching – How all ABNLP coaching standards meet or exceed world coaching standards. Learn how to free yourself and others from the past by releasing negative emotions such as Anger, Sadness, Fear, Hurt and Guilt.